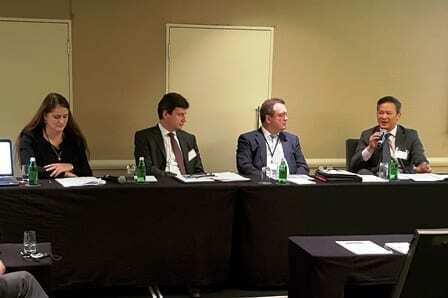 Tanner De Witt Partner Jeff Lane recently spoke at Fraudnet’s Conference and Meeting in Sydney. Held over three days, the Conference connects all FraudNet members from all over the globe. Using sophisticated investigation and forensic tools and cutting-edge civil procedures, FraudNet members have recovered billions of dollars for victims of some of the world’s largest and most sophisticated global frauds involving insurance, commodities, banking, grand corruption and bankruptcy/insolvency. Their members regularly act for government agencies and regulators in obtaining domestic and international recoveries for fraud victims. Jeff conducts a strong commercial litigation practice with a focus on domestic and complex multi-jurisdictional financial fraud disputes and asset tracing. He is Hong Kong’s go-to specialist in the growing area of cyber fraud. 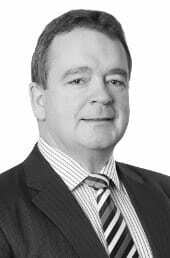 Jeff has practiced in Hong Kong for twenty seven years and is the sole Hong Kong representative of FraudNet, the international network of specialist fraud practitioners established by the International Chamber of Commerce, which is recognised by Chambers and Partners. FraudNet is an international network of independent lawyers who are the leading civil asset recovery specialists in each country.